home>>jesus christ 2007 not out! 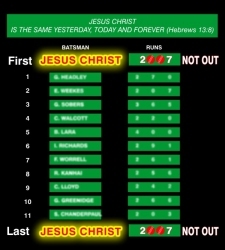 Jesus Christ 2007 ...not out! Men crucified Him, yes. But the real truth is He gave Himself as a sacrifice for our sins to purchase our salvation, on Good Friday He was out. BUT on Easter Sunday He rose to prove His is forever not out! The T-shirts are to be worn by the Christian community during the time of world cup as a means of ministry as persons distribute the devotional and as persons go about their day to day life.It is hoped that the Christian community in Barbados and throughout the region would buy into the concept to have the region flooded with the word of God on all fronts. 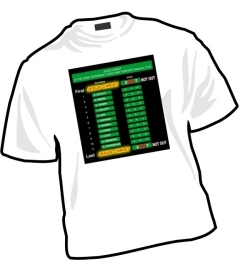 The design on the shirt is themed around cricket as it depicts a scoreboard with Jesus Christ as the first and last and His glory shining and overshadowing the other "greats" in W.I cricket - hence why their names etc are blurred ( its not about them). The Lord has given us “the Body of Christ” an awesome once-in-a-lifetime opportunity to reach thousands of persons during Cricket World Cup. Especially visitors from the non-traditional Christian countries, such as Pakistan, India and Sri Lanka, to share the good news of salvation and of the Prince of Peace. 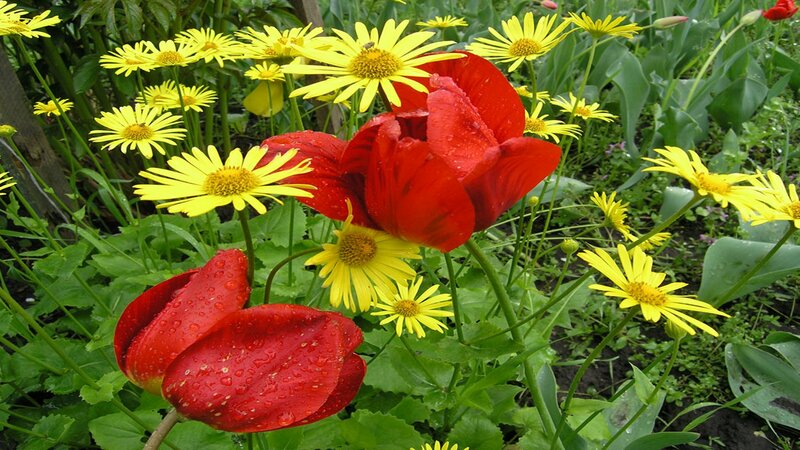 If Project HOPE has its way during Cricket World Cup (CWC) 2007 God will score big and Satan will get run out! Seen below HOPE 2007 booklets being distributed and read by cricket fans. Project HOPE is a partnership among local churches and para-church leaders in the Caribbean to share the Christian gospel with those attending the CWC. The primary strategy is to touch the hearts of cricket enthusiasts through friendship-evangelism, entertainment packages, sports seminars, health clinics, tract distribution, prayer and counselling for those who request such and general helpfulness. The word of God is also highlighted as the word which is inspired by the Holy Spirit will transform those who read and have the opportunity to hear about Jesus and His love for all! IJN Designs is a Kingdom Business which celebrates Christianity through the spreading of the Word of God worldwide through uniquely creative, high quality apparel and products. IJN Designs is a beacon of hope; our vision is to ignite the world one person at a time, using the Word of God. We believe that by the grace of God; many lives will be transformed through reading, hearing and believing in the Word of God. IJN Designs provides a channel for people of all ages to boldly wear affordable and trendy apparel with life-impacting messages of the salvation, deliverance, freedom, and joy that only Jesus Christ can bring. This revolutionary apparel provides the wearer with opportunities to share their beliefs and testimonies, as well as an avenue to minister the Good News freely to others. 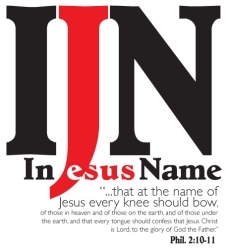 All of IJN Designs products are created to bring glory and honor to God, in the name of His Son Jesus.